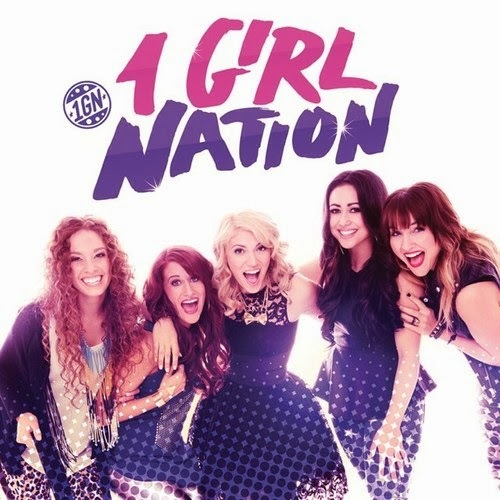 1 Girl Nation is a hot new Christian Girl Band. Aimed at preteens, teens and young adults, they have a fresh new sound that even parents can enjoy. I enjoy listening to them and when my daughter asks to listen to the CD in the car, it doesn't make me cringe...and I don't end up with a headache (for those who understand listening to awful kids music). The message behind the songs is solid and uplifting. I'm so happy my daughter enjoys their music and listens to it. Check out this music video. About 1 Girl Nation:Landing in the space where One Direction meets TobyMac, 1 Girl Nation is an exciting blend of upbeat pop music, with lyrics that are totally focused on living life for God, even while you’re young. 1GN, as they’ve already been dubbed, stars Carmen, Kayli, Kelsey, Lauryn Taylor and Lindsey, five girls with a passion for telling their fans about Christ through their music. Their first single, “While We’re Young,” can be heard on radio stations across the country and their self-titled debut album is available now! Win a copy of the 1 Girl Nation CD!! Disclosure: I was given a free copy of this CD in exchange for my honest review. All thoughts and opinions are my own. I love their video! So awesome! I actually love that Carmen went to school with Taylor Swift -I know my daughter will at least give them a shot and listen to them because of this! Love the look, and love the message. I think my girls will really flip over them! I LOVE the positive influence for the girls! would LOVE for my nieces to get involved with this! What’s On Your Wish List #Giveaway?